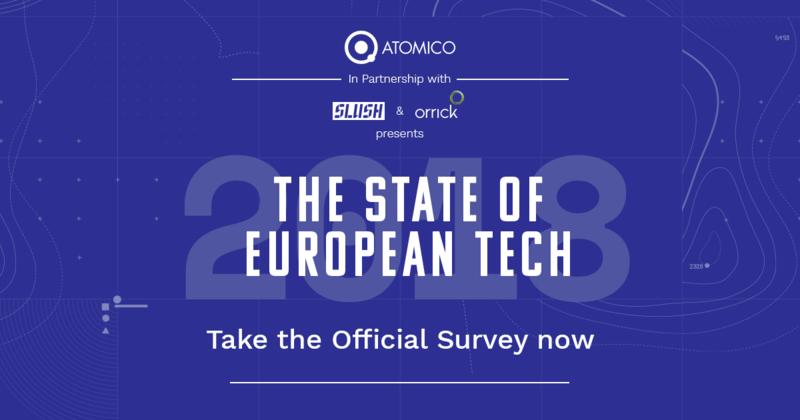 Thank you for participating in this year's State of European Tech survey. We’ll be asking you questions about the local ecosystem and the issues that impact it most. Your responses will help us create the definitive dataset of tech community opinion in Europe. As a token of our appreciation, we will be holding a prize draw to win a FREE pass to Slush 2018 in Helsinki on 4 & 5 December. We have five available that will be randomly selected from completed survey responses that include an email address. While there are 37 questions in total, the survey uses logic to show different questions depending on your occupation. As such, you will only be asked to answer a smaller number of questions. Based on our tests, we have found it takes an average of 8 minutes to complete the survey. If you would like to receive a copy of the report, when it is published at the Slush conference in early December, you will have the option to leave your email address at the end of the survey. Please note that an asterisk (*) indicates a question requires an answer. Thanks for helping shine a light on the European tech ecosystem!